Motor planning, motor control, and motor coordination are three related terms that help describe what's happening in your kids' bodies and brains (and your own, too) to make movements happen. Everything from the tiniest wave of a finger to a much more complicated sequence of events requires planning, control, and coordination. They're all inter-related, and they're all important. Motor planning is defined as the ability to organize the body's actions: knowing what steps to take, and in what order, to complete a particular task. For example, a motor plan for getting dressed would include steps for putting on socks—including knowing this comes before stepping into shoes; putting shoes on the correct feet, and so on. A motor plan for hitting a baseball would need to include steps for standing in the correct position in the batter's box, holding the bat at the proper angle (and gripping it with the right amount of force), watching for the pitch, swinging the bat at the right time, dropping the bat to run to first base, etc. Difficulty in motor planning is known as dyspraxia. Children with this condition have normal strength and muscle tone but struggle with the planning and coordination necessary to use their muscles. Motor control means the ability to use your muscles for a particular task, like swinging a bat or moving a toothbrush across your teeth. Fine motor control requires small and precise movements, such as those necessary to write with a pencil or fasten a button. For gross motor control, we use large muscle groups to do things like jump, run, or ride a bike. A child who is struggling with motor control will have trouble with actions such as grasping a pencil or pushing the pedals on a bike. Motor coordination is the ability to use multiple body parts for a particular action. For example, dribbling a basketball means using your arm and hand to bounce the ball while your feet and legs move you around the court. It's important to be able to use both sides of the body at the same time (this is called bilateral coordination). Many skills kids use for school and for fun require bilateral coordination. Cutting a piece of paper means holding scissors in one hand and paper in the other. A player has to hold the bat with both hands and use them together to make it swing toward the ball. All of these skills are connected to each other. "Someone who has motor planning difficulties will have a hard time with motor control, and a person who has motor control issues won't have the building blocks for motor coordination," says Meghan A. Corridan. She is a pediatric occupational therapist and the author of a blog called​ MAC&Toys, where she highlights toys, games, and apps that help kids strengthen motor and social skills. "Many of the children I work with who have motor planning difficulties have occupational therapy goals for coordination and control as well," Corridan says. If you are concerned about any of your child's motor skills, talk to your pediatrician or school district about a referral for occupational therapy. It can make a huge difference in your child's abilities and confidence—and it's often fun for them, too. 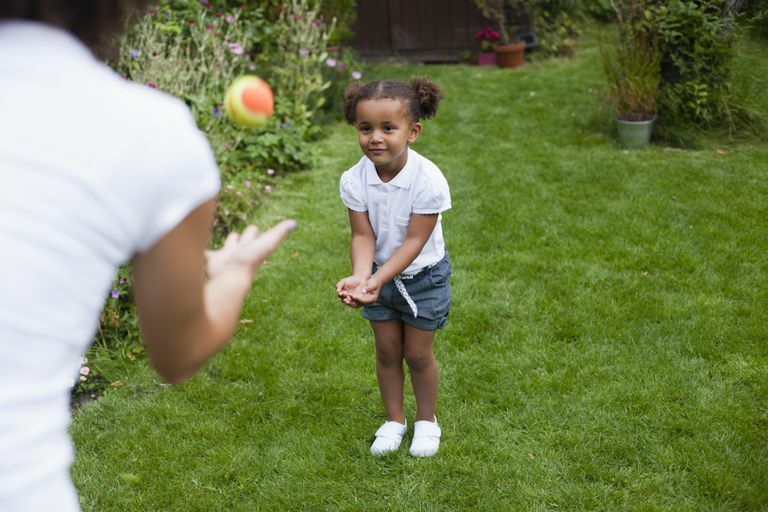 Could Your Child Have Gross Motor Skill Delays?